I knew absolutely nothing about Aruba golf courses when we decided to visit for the first time. Aruba had never been on my bucket list of islands to visit but as luck would have it there was an airline seat sale just as we in the planning stages a getaway in late May. But by the end of our seven day stay we were questioning ourselves what us took so long to discover this island paradise. What I quickly learned about Aruba is that the island is very windy. (22- 31 kilometers). Meanwhile, among the Caribbean islands, Aruba has the least amount of rain fall. That's because the island is situated outside the fringes of the hurricane zone. Which means you're practically guaranteed a sunny day in Aruba. The wind is a blessing as the average temperature every day is 82 degrees (28 degrees Celsius). This makes visiting Aruba an unforgettable vacation spot. 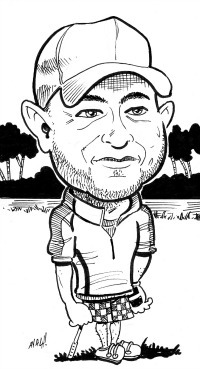 Since the island is not very big the choice of golf courses is very limited. 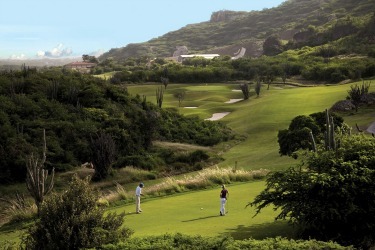 Aruba courses are not like many of the others I've become accustomed to playing in the Caribbean. They are not lush and green. 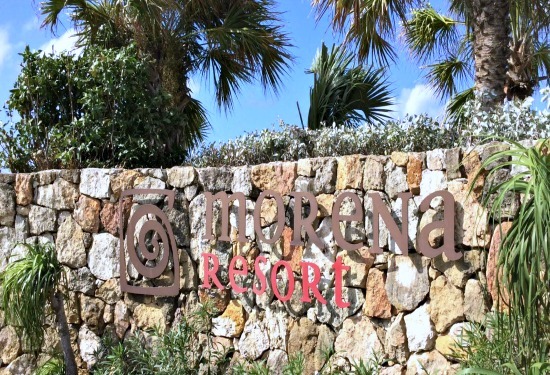 Instead the golf courses like the rest of the island, are dry and arid. But you won't be disappointed. 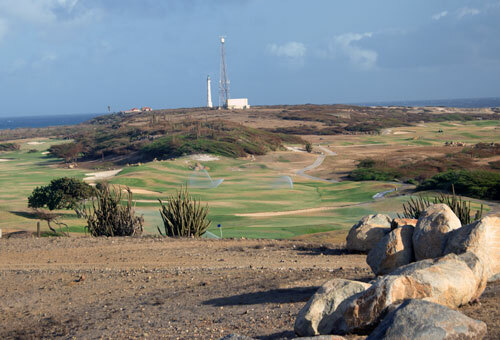 The two courses I suggest you play at when visiting Aruba area is the Tierra del Sol course and/or the 9 hole Links at Divi Aruba. Each course is different in terms of layout and price. At Tierra del Sol on the front 9 is more of an ocean layout while the back 9 is a desert layout with plenty of beautiful ocean views. The course is very fair if you hit fairways. The rough is Bermuda grass which can be difficult to get out of. I played from the white tees which at times was a real chore, at one point due to the wind I moved up to play another tee box to make sure not lose anymore balls. There is plenty of wind but the course is setup to help you cope with it. The easier shorter holes play into the wind, while longer holes down wind. There are holes where it's possible to make birdies and holes where you're happy to just make par. 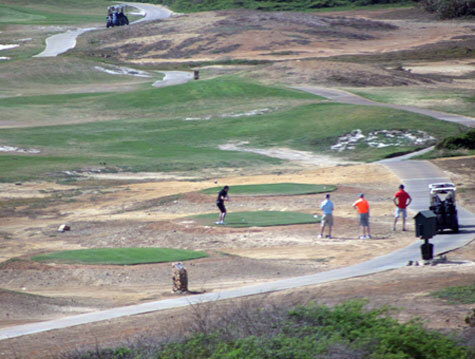 The other option, the Links at Divi Aruba Golf, is the perfect course for any golfer regardless of your ability. to think it is an easy course when in fact it's actually quite tricky. I believe even if you are a beginner or still fairly new to golf, you will enjoy yourself and not be overwhelmed by some of the holes. Get ready for lots of water which surrounds the course with some very pretty views. There's also a good chance you'll lose quite a few golf balls, so make sure you bring enough in case you spend more time in the water than on the fairways. If you are an experienced golf and like an adventure, then this is a good course for you as well. You may have to leave the driver in the bag, but the firm dry fairways and the ever present windy conditions, you'll find more than enough of a challenge. 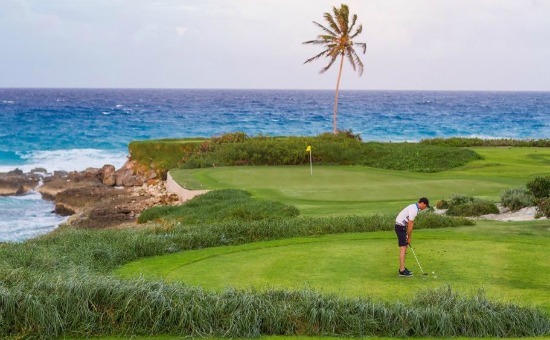 So, no matter what your golf-playing ability may be, when you are on the island there is an Aruba golf course to satisfy your desire to tee it up. 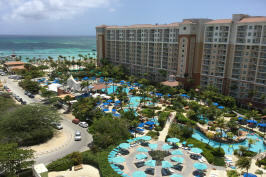 Do You Have Aruba Vacation Experiences Write About It Here!